*Note: Have your butcher thinly-slice the pork shoulder for you. Combine the ingredients in a bowl and stir evenly to combine, making sure to fully dissolve the cornstarch. Add the pork and toss to combine. Set aside. 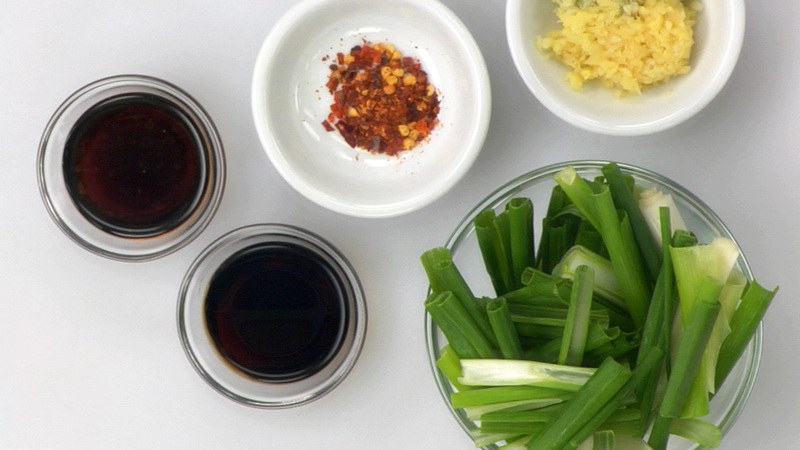 To prepare the sauce, combine the sesame oil, dark soy sauce, soy sauce and Shao Hsing rice wine. Slice the onions in half vertically and cut into 2" -inch pieces. Mince the ginger and garlic. Measure out the chili flakes and set aside. To stir-fry the dish, line the ingredients up in the proper cooking order. Heat a wok over high heat. 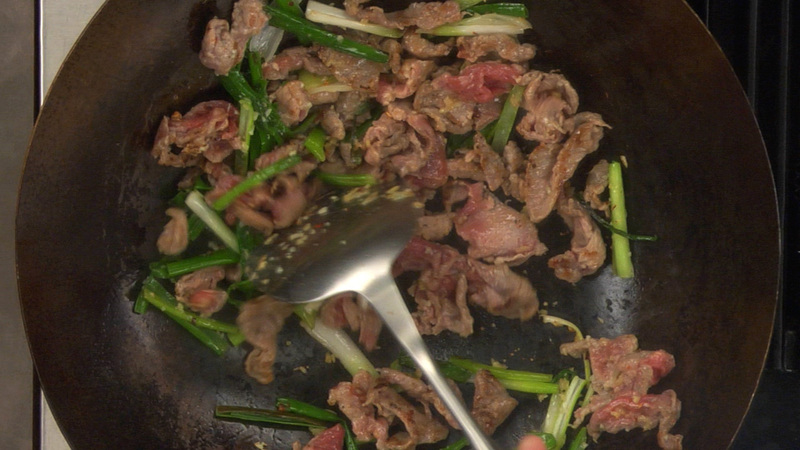 Once hot, add about 1 tablespoon of the oil, followed by the scallions, ginger, garlic and chili flakes. Cook for approximately 10 seconds and push to the side of the wok. Feel free to add a touch more oil during the stir-frying process, if needed. Immediately add the pork. Spread it out and cook for a minute or so until slightly browned but not fully cooked through. Add the sauce and cook for another minute. 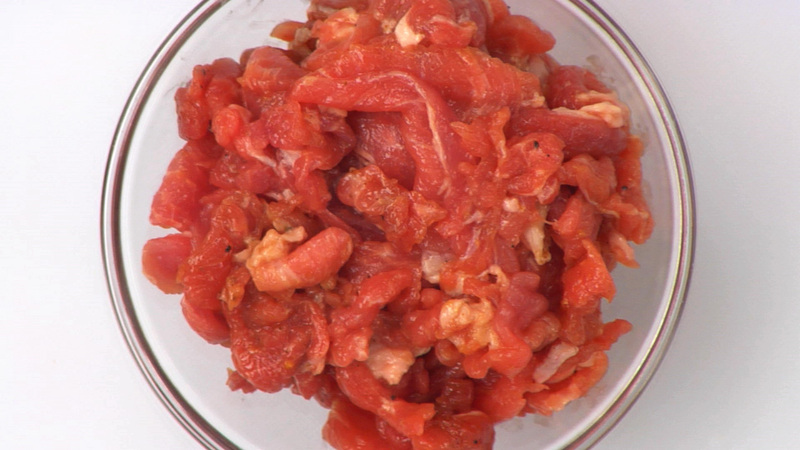 Swirl in the vinegar, cook for about 30 seconds and serve immediately.